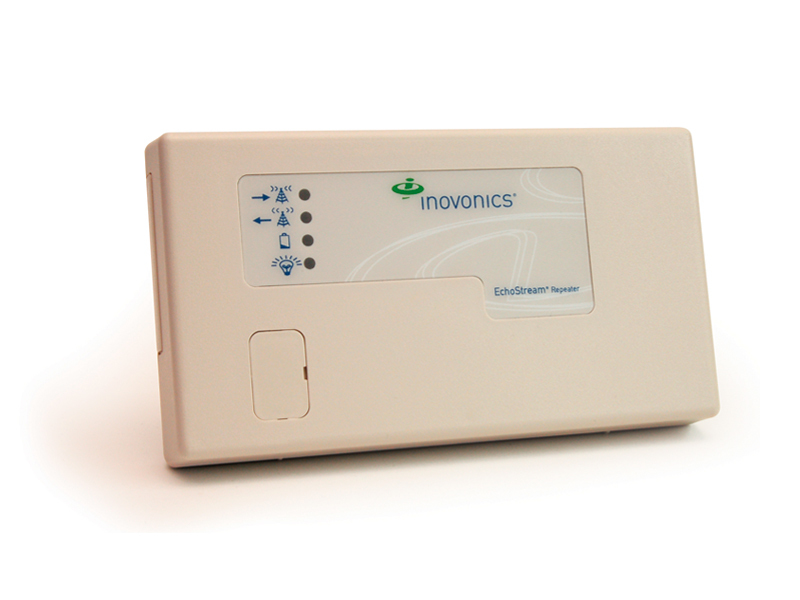 The Inovonics high power repeater intelligently amplifies transmission from any EchoStream series transmitter while ignoring background noise. The repeater is perfect for large facilities such as multi-floor buildings, multi-building sites, shopping malls, campuses and other open-air installations. Virtually any number of repeaters can be added to a system, scaling the system size as needed.